Some friends of mine tell me that they drink red wine all-year round. I cannot. Or at least I prefer not to drink red wine when the temperature rises above 80° F. During this particularly warm summer, my thoughts turn to cool white and dry rosé wines. 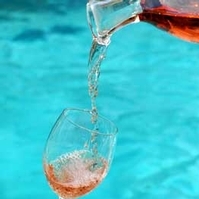 Of the two, I prefer dry rosés during the really hot weather. One reason is that rosés are more versatile with food; they complement meats, fish, appetizers, or vegetables equally well. Also, they are excellent when chilled, while some white wines suffer from too much chilling. During the last decade, rosé wines have been trending upward, not only in the U.S. but also in Europe, especially France and Belgium. In fact, the French now consume more rosé than white wines. The trend towards drinking rosés does not include the California standby, white Zinfandel, and other blush wines. Those sales have been dropping, while dry rosé wine sales have been booming. Two major reasons for this might be an increased sophistication among drinkers who are graduating from sweet rosés, and the growing idea of enjoying wine with food. Dry rosés suit the kinds of foods we have been eating in the U.S. lately, with an emphasis on various Asian cuisines, such as sushi, and Mediterranean cuisines. 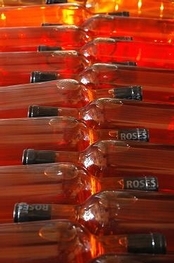 France is by far the largest producer of rosés in the world. Within France, Provence is by far the largest (and the oldest) region that makes rosé wines. Provence today makes 38 percent of all French AOC rosés. When the Greeks first arrived in what is now France in 600 BC, they docked their boats in the region we now call Provence, planted vines and made France’s first wines--rosés, the prevailing wine at that time. If you have been fortunate enough to visit the French Riviera in southern Provence, crowded with its yachts, sailboats, and beachside cafés, you cannot miss the amazing consumption of rosés taking place. Provence also makes a small amount of red wine and an even smaller amount of white, but rosé rules. 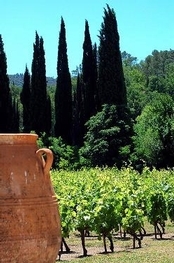 Provence’s rosé wines range in color, aroma, and body, mainly according to their terroir. The color ranges from pale salmon or very light pink to a deeper, warmer pink hue, sometimes with orange tones. In body, rosé wines made nearer the sea tend to be light-bodied, racy, and crisp. Those rosés made inland and in the hills tend to be fuller-bodied and deeper in color. Côtes de Provence AOC. The largest district; nearly 50,000 acres, mainly in the southeastern part of Provence; produces about 130 million bottles annually, or 75 percent of all the wine made in Provence. Today, 89 percent of its wines are rosé, 8 percent are red, and 3 percent are white. The wineries in this zone that are near the Mediterranean Sea, with its cool breezes, tend to produce the zone’s lightest-bodied wines. Côteaux d’Aix-en-Provence AOC. The second-largest Provençal wine zone, with about 10,000 acres, in the northwestern part of the region. Its main town is the historic, old capital of Provence, Aix-en-Provence-- definitely worth a visit. This AOC district produces 28 million bottles annually, 81 percent of which are rosé. Being inland, this zone is generally warmer, and its rosés tend to be more full-bodied. Cháteau Vignelaure and Cháteau Calissane are two leading wineries. Côteaux Varois-en-Provence AOC. Located in hilly, central Provence, in between Côtes de Provence to the east and Côteaux d’Aix-en-Provence to the west. The area is surrounded by limestone hills, which have a tempering effect on the very warm climate. The zone has a little over 6,000 acres, and produces 16 million bottles annually, 88 percent of which are rosé. Cháteau Routas, a familiar presence in the U.S., is in the Varois. The grape varieties used to make Provence rosés are all red varieties, almost all of which are also used in the Rhône Valley. Grenache, Cinsault, and Mourvèdre are the three most frequently used varieties, but Syrah has been playing an increasingly large role in Provence’s rosé wines. A few producers also use Carignan and Cabernet Sauvignon. Tibouren, a native Provençal variety, is perhaps the most fascinating grape. Only a very few producers use Tibouren as their principal variety because it has very small production; other producers use it as a blend in their wines. Tibouren is very aromatic, and adds body to the wine. Clos Cibonne Cuvée Tradition is one rosé that is 100 percent Tibouren. In addition to Aix-en-Provence, three of Provence’s most famous wine towns are St.-Tropez, Bandol, and Cassis. St.-Tropez is truly a scene, very touristy, but worth seeing; Bandol and Cassis are more quiet, but charming. Recently in New York, I met with François Millo, the Director of the Provence Wine Council, which represents 650 producers in Provence’s three largest wine zones. He presented a group of Provence rosé wines to a small group of wine writers. Millo was very excited about the increase of Provence rosé wine exports to the U.S. from 2010 to 2011 (It jumped 62 percent in volume in that one year alone). The U.S. is currently Provence’s second-biggest wine export market, with about 20 percent of its exports, trailing only Belgium, with 25 percent. Of the 650 producers the Council represents, 124 Provence producers now have their wines in the U.S. market. • Its geology: Poor, well-drained, acidic, shallow soils--mainly crystalline and limestone. The Mediterranean, which once covered the region, left many minerals and shells when it receded, millions of years ago. • Its climate: Hot, very sunny, and dry; but with vast day/night differences in temperature. The cool evenings help retain the acidity in the grapes. • The Mistral: The dry, cool winds sweeping down from the Alps refreshes the vines and protects them from humidity, which causes mildew and rot. Millo also stressed the night harvest of the grapes. The workers have six hours to pick the grapes during the cool night hours. The result? Refreshing, lively wines to drink, with good amounts of acidity. Château Coussin, Côtes de Provence Sainte-Victoire 2011: 70 percent Grenache, 20 percent Cinsault, 10 percent Syrah. 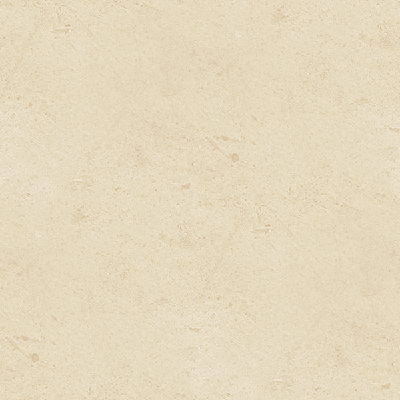 Pale pink color; light-bodied. $20. U.S. Importer: T. Edward Wines. Château Sainte-Marguerite, Côtes de Provence, Grande Réserve 2011: Grenache, Cinsault, Syrah blend. Pale pink, elegant, a favorite of mine. $27. U.S. Importer: Dreyfus and Ashby. Château de Pampelonne, Côtes de Provence 2011: Grenache, Cinsault, Syrah, Tibouren blend. From Saint-Tropez. Pale pink, lovely, delicate. A classic Provence rosé of the elegant, light-bodied style. $20. 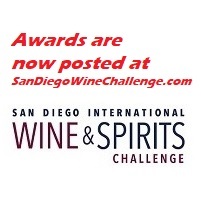 U.S. Importer: Jeff Welburn Selections. Château Thuerry, Côtes de Provence 2011: Syrah, Grenache, Cinsault. Rich and full-bodied--possibly because of Syrah, its inland location, or both. Not my style, but others liked it. $20. U.S. Importer: Angels’ Share Wines. Château Calissane, Côteaux d’Aix-en-Provence 2011: Grenache, Syrah, Cinsault, Cabernet Sauvignon. One of the oldest, most historic châteaux. Rose petal pink hue, quite full-bodied. It could use more acidity, but many liked it. $25. 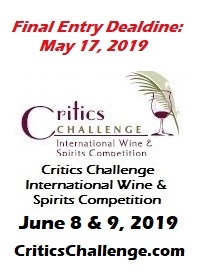 U.S. Importer: Petit Pois Corp, Sussex Wine Merchants. Château Paradis, Côteaux d’Aix-en-Provence 2011: 60 percent Grenache, 20 percent Syrah, 20 percent Cabernet Sauvignon. Light, racy, excellent acidity. I loved this rosé, as did others. A superb wine. $25. U.S. Importer: Domaine Select. Château Pigoudet, Côteaux d’Aix-en-Provence 2011: 75 percent Syrah, 25 percent Cabernet Sauvignon. I thought this rosé was outstanding; it’s my style--light, lively, and racy. Perhaps the noble grape varieties in the blend play a role. One taster mentioned that the wine’s dissolved CO2 enhances the impression of acidity. $22. U.S. Importer: T.Edward Wines. Clos Cibonne, Cuvée Tradition, Côtes de Provence 2010: 100 percent Tibouren. For me, the most interesting rosé of the tasting, and one of the best rosé wines that I have ever experienced. Clos Cibonne is one year older than the other wines. The producer purposely holds the wine for an extra year because it needs aging to develop. The wine is full-bodied for a rosé, with heavenly aromas of spice and orange peel. It in fact has an orange hue. One of the few 100 percent Tibouren rosés made. You must try this wine. $25. U.S. Importer: De Maison Selections, Chapel Hill, N.C. Concluding, I must say that I was greatly impressed with the Provence rosés I tasted, and I understand why they have become so popular. On other occasions, two other Provence wines have left me with pleasant memories. 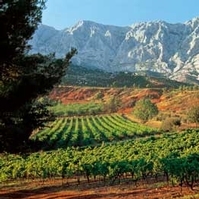 One is from Provence’s smallest AOC district, Palette, which is located just east of Aix-en-Provence. One wine estate, Château Simone, dominates tiny Palette. Among the very best wineries in Provence, Château Simone produces outstanding, long-lived reds and rosés made from Grenache, Mourvèdre, and Cinsault; and a great white wine, made mainly from Ugni Blanc. All three of these superb wines retail in the $55 to $60 range.